Here is why crude oil prices, even without further appreciation, may create demand destruction in the EU. 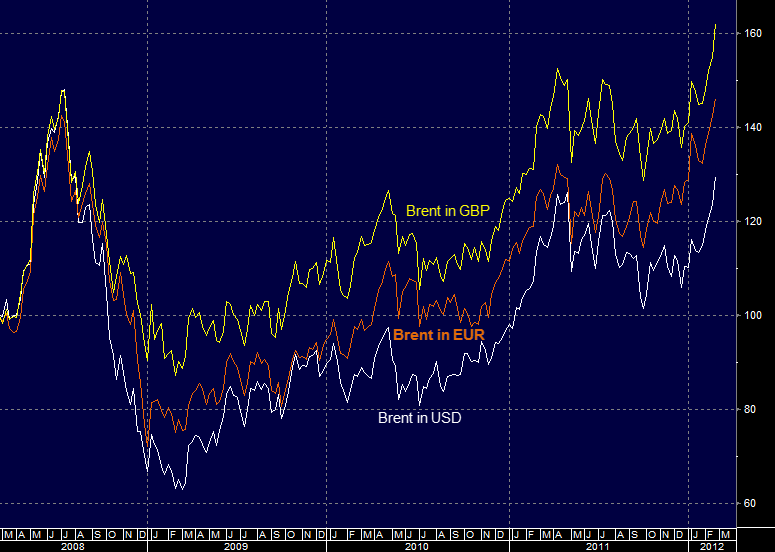 Denominated in EU currencies such as the euro or even more so in sterling, Brent crude is now at record highs. 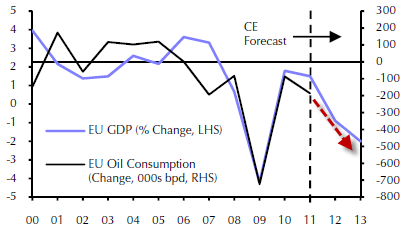 The EU oil consumption has been tightly linked to the region's GDP growth. 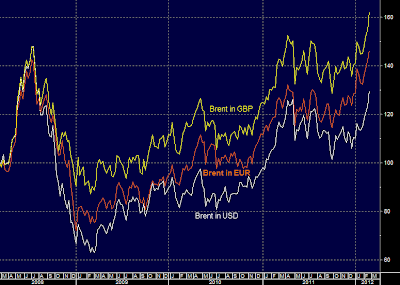 The combination of these record energy prices for the EU (given weak currencies) with the Eurozone's credit crunch will significantly reduce EU's demand for crude in 2012. That's why Iran's stance to stop selling oil to certain EU nations should have zero impact. The chart below shows just how much EU's demand for oil could potentially drop, given Capital Economics' forecast for the GDP declines. Geopolitical risks aside, this certainly does not provide support for an extended rally in crude prices going forward.